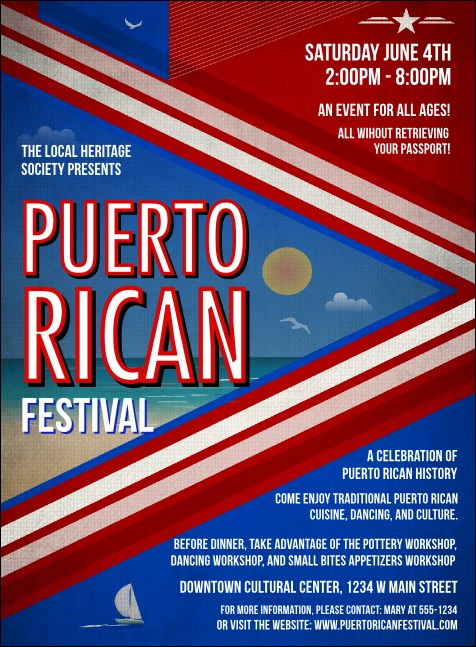 Welcome folks to experience the culture of The Isle of Enchantment with customized, printed Puerto Rico Flag Invitations. Framed by red, blue and white stripes, a sunny beach beckons from within this template’s background. Offering nineteen text fields, it has plenty of space to fill everyone in on your event’s who, what, where and when! Promote your celebration with sharp-looking invitations from TicketPrinting.com!